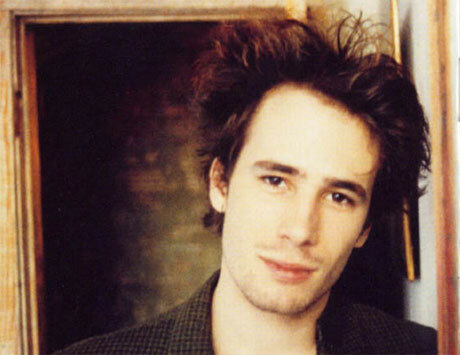 As Jeff Buckley fanatics likely already know, a biopic on the late singer-songwriter has been brewing for years. Several attempts have been made - one even by Brad Pitt - but so far Buckley's mother Mary Guibert has put the kibosh on bringing the Buckley tale to the big screen. (To read a detailed history on the failed biopic check out The Playlist's post about it here.) However, via a report from the Australian press, it appears the film is back on track and could be out as early as 2010. According to the report, Orian Williams, who produced the biopic Control, about Joy Division's Ian Curtis, is onboard for the Buckley film, titled Mystery White Boy, as is screenwriter Ryan Jaffe (The Rocker). The real juice here is that the list of possible actors that may play Buckley, which includes names like Jared Leto, James Franco, Robert Pattinson and James Marsden. "Whoever gets the part will need a lot of self-discipline because they won't be able to fake it," Guibert said in interview. "It's going to take a phenomenal set of skills." Guibert also added that she has finally come to terms with the idea of there actually being a biopic done on her late son, saying, "I have finally relented against my deep conviction that films about people should never be made until those people are long dead." And while all indications now seem to show that the biopic is back on course, the script is apparently nowhere near complete, and the film is still in the very early stages, making that possible 2010 release look pretty tentative.